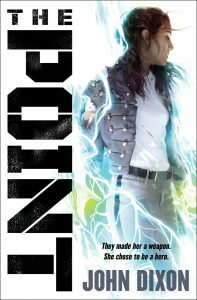 Sci-Fi Reads! - Borrow. Read. Repeat. 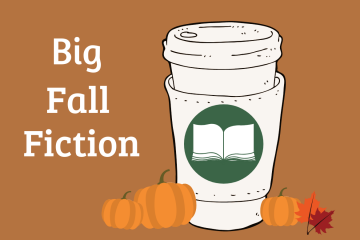 From mysterious visitors to alternate universes, these 7 Science Fiction reads are not to be missed! 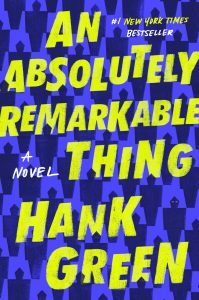 Hank Green—cocreator of Crash Course, Vlogbrothers, and SciShow—spins a sweeping, cinematic tale about a young woman who becomes an overnight celebrity before realizing she’s part of something bigger, and stranger, than anyone could have possibly imagined. 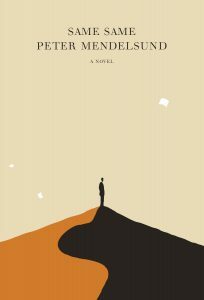 A deeply unsettling novel about what it means to exist and to create . 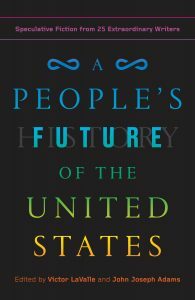 . . and a future that may not be far off. In the shifting sands of the desert, near an unnamed metropolis, there is an institute where various fellows come to undertake projects of great significance. But when our sort-of hero, Percy Frobisher, arrives, surrounded by the simulated environment of the glass-enclosed dome of the Institute, his mind goes completely blank. When he spills something on his uniform—a major faux pas—he learns about a mysterious shop where you can take something, utter the command “same same,” and receive a replica even better than the original. Imagining a world in which simulacra have as much value as the real—so much so that any distinction between the two vanishes, and even language seeks to reproduce meaning through ever more degraded copies of itself. Chandler Klang Smith has imagined an unimaginable world that is at once faraway and disturbingly familiar—its singular chaos grounded in the universal realities of love, family, and the deeply human desire to survive at all costs. In the burned-out, futuristic city of Empire Island, three young people navigate a crumbling metropolis constantly under threat from a pair of dragons that circle the skies. When violence strikes, reality star Duncan Humphrey Ripple V, the spoiled scion of the metropolis’ last dynasty; Baroness Swan Lenore Dahlberg, his tempestuous, death-obsessed betrothed; and Abby, a feral beauty he discovered tossed out with the trash, are forced to flee everything they’ve ever known. As they wander toward the scalded heart of the city, they face fire, conspiracy, mayhem, unholy drugs, dragon-worshippers, and the monsters lurking inside themselves. In the burned-out, futuristic city of Empire Island, three young people navigate a crumbling metropolis constantly under threat from a pair of dragons that circle the skies. When violence strikes, reality star Duncan Humphrey Ripple V, the spoiled scion of the metropolis’ last dynasty; Baroness Swan Lenore Dahlberg, his tempestuous, death-obsessed betrothed; and Abby, a feral beauty he discovered tossed out with the trash, are forced to flee everything they’ve ever known. As they wander toward the scalded heart of the city, they face fire, conspiracy, mayhem, unholy drugs, dragon-worshippers, and the monsters lurking inside themselves. 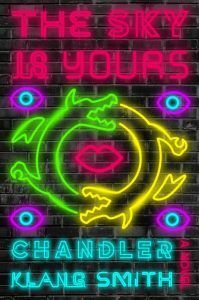 In this bombshell of a novel, Chandler Klang Smith has imagined an unimaginable world: scathingly clever and gorgeously strange, The Sky Is Yoursis at once faraway and disturbingly familiar, its singular chaos grounded in the universal realities of love, family, and the deeply human desire to survive at all costs. 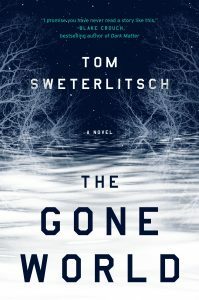 Inception meets True Detective in this science fiction thriller of spellbinding tension and staggering scope that follows a special agent into a savage murder case with grave implications for the fate of mankind. she is assigned to solve the murder of a Navy SEAL’s family—and to locate his vanished teenage daughter. Though she can’t share the information with conventional law enforcement, Moss discovers that the missing SEAL was an astronaut aboard the spaceship U.S.S. Libra—a ship assumed lost to the currents of Deep Time. Moss knows first-hand the mental trauma of time-travel and believes the SEAL’s experience with the future has triggered this violence. On the windswept world of Bleak, a string of murders lead a writer to a story with unbelievable ramifications. One man survives the vicious attacks, but is left with a morbid fascination with death; the perfect candidate for the perilous job of working on a rig. Welcome to the System. Here the concept of a god has been abandoned, and a new faith pervades: AfterLife, a social media platform that allows subscribers a chance at resurrection, based on the votes of other users. 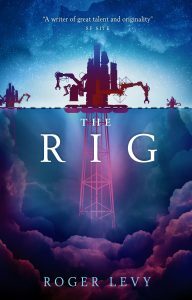 So many Lives, forever interlinked, and one structure at the centre of it all: the rig.